In this article I will be writing about the present Mercury retrograde period, but will emphasize an aspect of the cycle that is often ignored. The section of the cycle I refer to is called the Inferior conjunction which I will explain later. Most followers of astrology are quite familiar with Mercury retrograde periods, but it is easy for people to overestimate the severity of this transit. 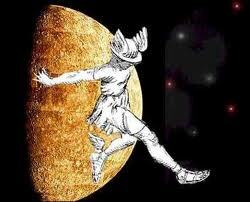 On average, Mercury goes retrograde 3 times a year for a period of about 3 weeks. So, it is something we live with as a part of human existence. Yes, it affects communications, can create delays and sudden schedule changes, computers may have more issues than normal, etc., but this period is more significant than just the kind of inconveniences I just mentioned. Also, many people will not suffer any of the stereotypical events we associate with Mercury retrograde. It is much better to understand the deeper significance of this period and to see it as part of a broader 4-month cycle of which the retrograde period is only a part. December 19, 2015 – on this date Mercury entered the territory where it will retrograde back to. It did so at 14° Capricorn. Th is often called the ‘shadow’ period and can provide insight as what issues we may have to think about again when the retrograde periods really starts. January 5, 2016 – on this date Mercury went retrograde at 1° Aquarius. January 14, 2016 – what is referred to as the “Inferior Conjunction” occurs at 23° Capricorn and is the halfway point of the retro period. January 25, 2016 – Mercury turns direct at where it entered the ‘shadow’ at 14° Capricorn. February 14, 2016 – Mercury leaves the territory of its retrograde cycle at 1° Aquarius. Please note that in the middle of the retrograde period we have the Inferior conjunction of the Sun and Mercury. This is an important moment in the cycle. The first part of the retrograde period is often thought of as a time of review and reconsidering ideas we might have thought to be completed. But what this leaves out is the fact that there is a push to race ahead in order to complete unfinished actions. It can be a very busy time actually. What is really happening is there is an intuitive sense that we only have a little time left to finish something that has been left hanging for weeks or even more. This is due to the unconscious awareness that something new is about to emerge. Astrologically, this is what the Inferior conjunction is all about. While it can be subtle, on January 14th, it might be helpful to pay attention to any new thoughts or ideas that may arise in your consciousness because in essence, this is when a ‘new seed idea’ may be planted. It certainly marks the moment when we are likely to feel differently about issues that have been on your mind for a long time. This is when it is most helpful to know where the retrograde cycle is occurring in your personal chart. So, from now until the 14th, pay attention to completing cycles you know you must handle as well as taking care of whatever events occur that can take you out of your usual routine. But, also be aware that something new may be coming in. This can help us if we begin to feel stuck, confused or impatient. Impatience is often one of the most common states we can find ourselves experiencing at this time as we try to accomplish more than what is realistically possible. One can either worry, which won’t change anything, or work towards being as non-reactive as possible. After January 14th – this is when something new can be born. But, in all the years I have been watching these cycles, I often miss the significance of this time because I can’t sense it. Yet, later, when I look back I can often see what it was that began to appear at this time. Remember that Mercury is still retrograde and will be for 11 more days. One is still in the review process and it is still not a good time to start something completely new. But that doesn’t mean that there isn’t anything new happening. The Inferior conjunction is like a New Moon in that a new idea is being born. But like the New Moon we may not see clearly what is coming forth. It will not be fully revealed until Mercury goes direct and even then it will not manifest until two months have passed when we have the Superior conjunction, which is like the Full Moon. I would like to suggest that our readers experiment with this idea and take some time to notice what is going on during the 2-3 day period around January 14th. There are several frequently asked questions I receive that I can answer briefly here. Some examples are – “Should I sign a contract?,” “Is it OK to make a move to another location?”, or “Can I start a new business?” when Mercury is retrograde. Firstly, I can honestly say that there are no black and white answers to any of these questions. One must take into account where the retrograde takes place in one’s chart and the specifics of the situation. For example, I have signed a contract selling a business under Mercury retrograde and it went very well. There were no problems at all. The same is true for people moving to a new location. The reason is that if an action occurs as part of the Mercury retrograde cycle, it may be necessary to complete that action during the retrograde period. In the example of my selling a business, the process had taken more than a year and the buyer insisted that the sale take place when it did. It happened when Mercury was retrograde and it flowed perfectly. The general rule is to avoid starting a completely new project during the retrograde period. There is the possibility there could be too many changes during the beginning stages of the project that could be damaging to the project. If you are uncertain it is best to consult an astrologer to examine the specifics of your situation. In Kimberly’s AstroCast she points out that this Mercury retrograde includes a square to Mars that is lasting for many days, much more than usual. It can now easily be seen in world events. For example, North Korea has exploded a nuclear bomb (which some contend is a hydrogen bomb) setting off conjectures as to whether or not they are capable of doing tremendous damage. Also, Saudi Arabia and its allies have withdrawn their diplomats from Iran and ceased all travel and commerce with that country. There has been high tension between Iran and Saudi Arabia for many years, but not until now has it reached this level of hostility due to Saudi Arabia’s decision to put to death 47 dissidents to its regime. Given the fact that Mercury has just gone retrograde, it can be hoped that it is possible that the intensity of the conflicts will dissipate in the coming days or weeks and that some kind of reconciliation might occur. If not, it suggests that the tension between not only Saudi Arabia and Iran might increase further but also the entire Middle East. That unfortunately is what seems to be happening. I hate to mention the events in Burns, Oregon where a few white militants have taken possession of the Malheur National Wildlife Refuge, but I have come up with an unusual way of dealing with it that you might find fun, if not interesting. Why not simply charge them rent? Any thoughts? 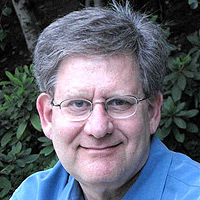 My 64th birthday is on January 15th so that would be my solar return and wonder how that will Effect my year. Inferior verge of birthing new. Will this be present for the whole year? Very interesting article. Thank you. Having a Solar Return while Mercury is retrograde can have effects on the year ahead in my opinion. My experience of this has been that I had to review my priorities and plans during the year as new information came in before I was able to take action. But, that’s not to say that your experience will be the same. Found the article very interesting with information I had never been made aware of before; Thank you for that!! I like the suggestion of charging the ‘invaders’ rent!! Thanks, Jim. Very helpful information for understanding the meaning of a retrograde Mercury. About the situation in Burns, Oregon at Malheur National Wildlife Refuge, ironically, the linguistic coordinates of this location predispose this place to trouble – Burns is a “hot” (burning) spot, currently at a national (nation-wide) level, the place is a refuge (shelter from danger) for wildlife (out of control state of being), and, at that, with a tendency for being plagued with malheur (adversity/misfortune/tragedy, in translation from French). On a more relevant note, what is happening in the skies when Mercury is in an “inferior conjunction” (analogous to a new moon) mode versus the “superior conjunction” (parallel to a full moon) state? That is, to what does Mercury “conjunct” when it’s in an inferior vs its superior conjunction state? Also, how can we tell “where the retrograde cycle is occurring” in our personal chart? Do we just look at where our Mercury (sign/house placement), is in our chart, and correlate it to the sign/house in which a given Mercury is retrograding in, to see how a current Mercury retrograde might influence our affairs on earth? Or, do we also need to look at where we have other planets that are placed in Mercury-ruled signs (Gemini, Virgo) and houses (3rd, 6th) in our chart to decipher the full, potential impact of a given Mercury retrograde in our life? Thank you. Thank you for your response and questions. The answers to all of your questions are yes. The methods of examining how a person will be affected by this cycle are pretty complicated. The main problem I see in how people react to Mercury retrograde periods is that they become too restrictive. Certain types of action are actually necessary at this time. Alright, thank you. So, do people become “restrictive” by choice or involuntarily? That is, do you mean people’s reaction to Mercury retrograde is restrictive, whether they actually take Astrology into account in their lives, or not? In any case, what types of alternative (liberating) actions are then necessary at this time? Conscious inner reflection and reassessment of one’s thoughts and lifestyle choices, or what? Thanks. Your question goes beyond the scope of just a Mercury retrograde period and extends to how we can work with astrology in general. It is my view that no matter what the particular chart is, each and every person has free will. However, that free will can expand if a person becomes able to be free from constraining and restrictive belief systems and able to see more possible responses to life situations. My approach to teaching both astrology and meditation/contemplation focuses on this deeply.